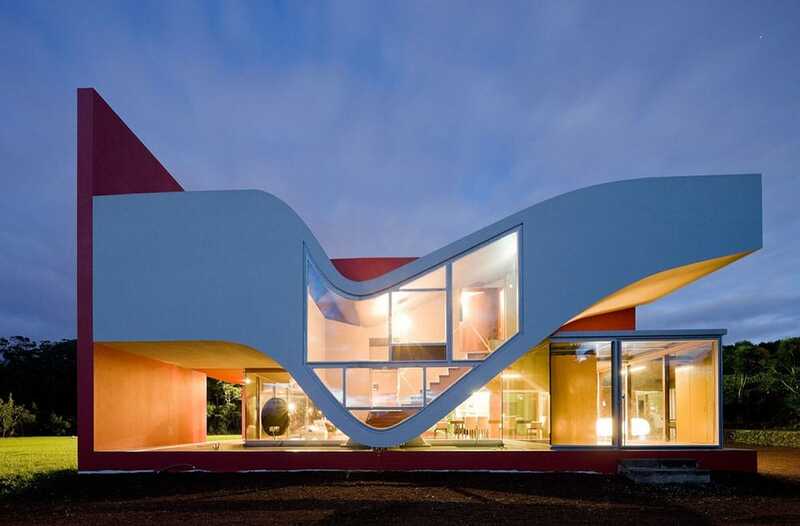 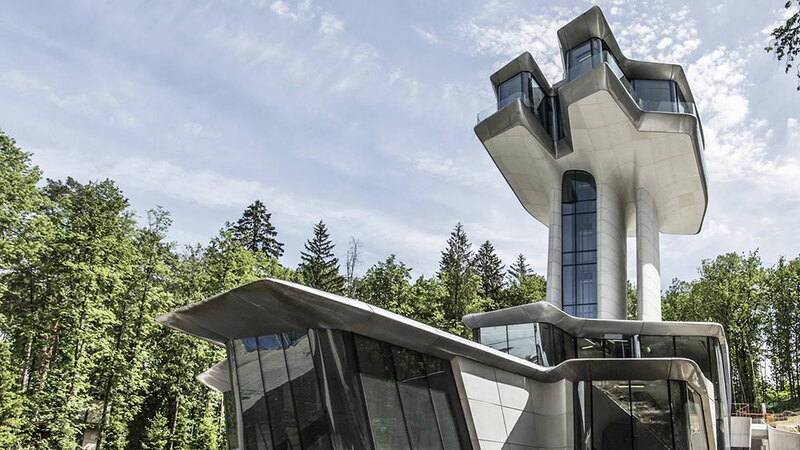 These houses are sleek, weird, astonishing and sometimes outright crazy – which is, in essence, what being futuristic is all about. 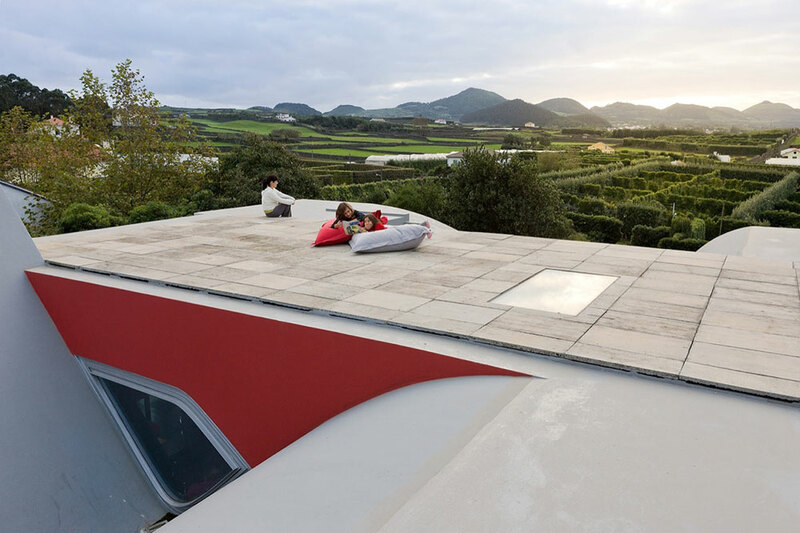 Take a step away from traditional architecture and indulge in a fantasy of what it would feel like to live in one – for all of them are real completed projects! 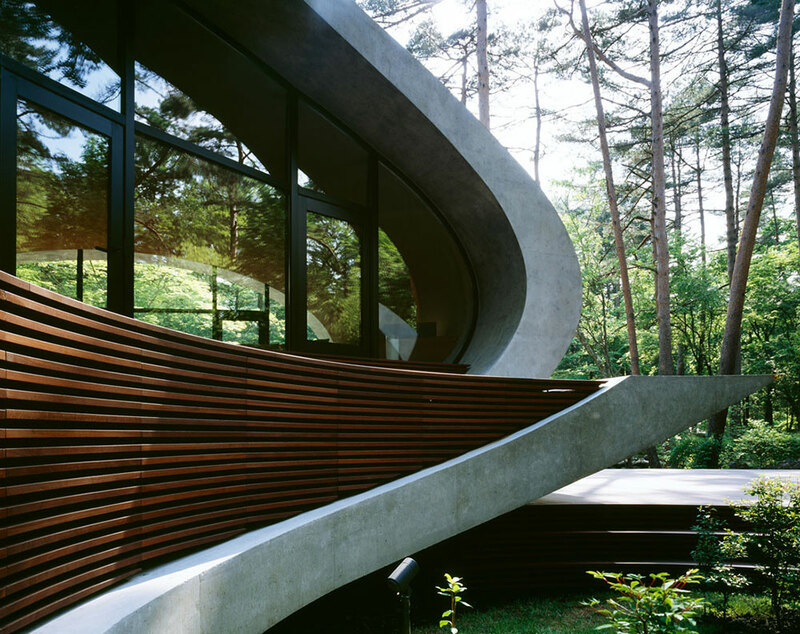 Set in different countries and designed by a plethora of brilliant architects, each of the six will expand your aesthetic horizon in its own way. 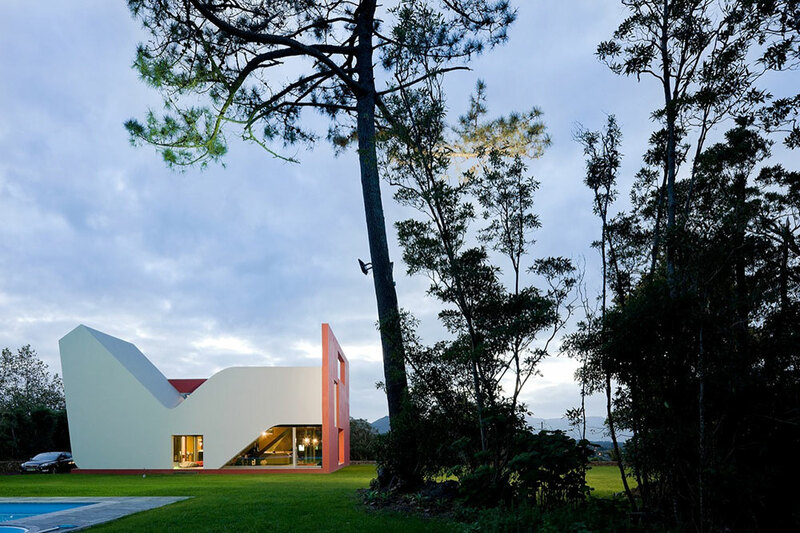 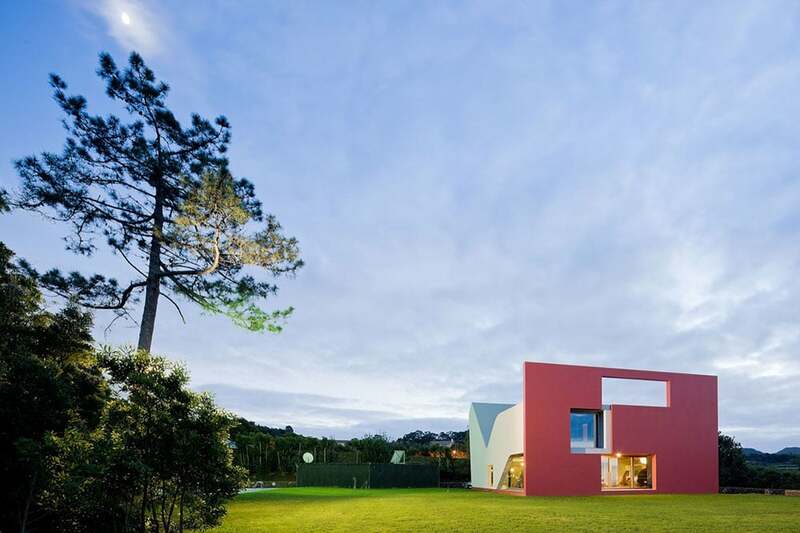 Bernardo Rodrigues, the architect of the House on the Flight of Birds, carefully analysed weather conditions of the area to allow this single family home to remain connected with the outdoors while providing a safe shelter. 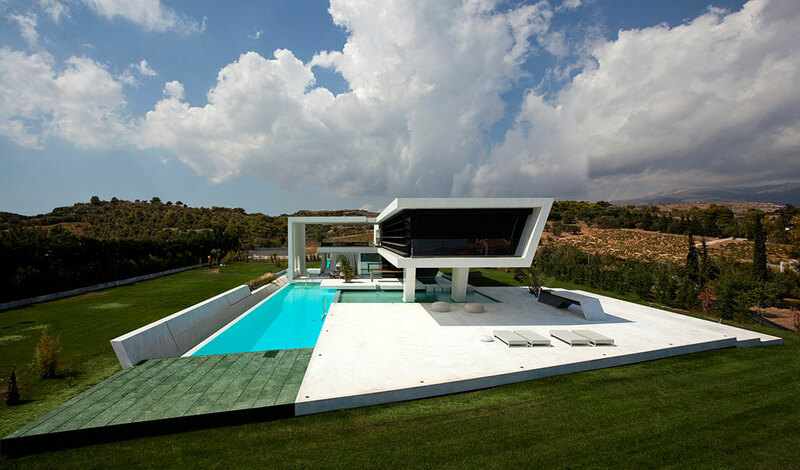 The house, finished in 2010, is located on the north side of St. Michael Island in Portugal, which is dominated by high winds and rain. 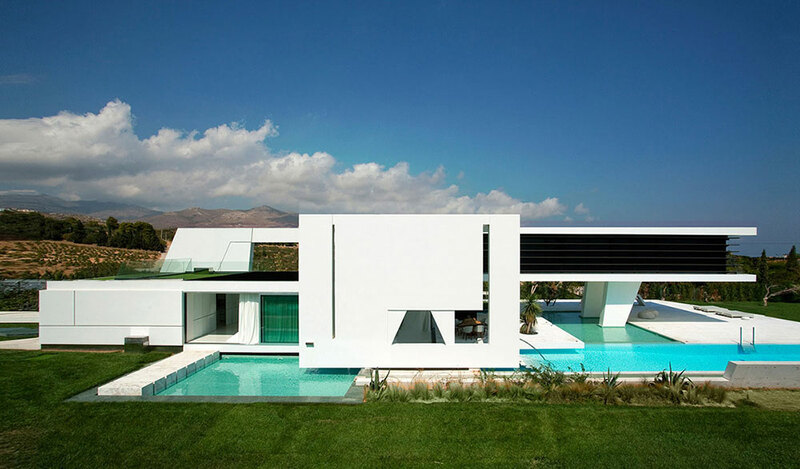 The elements are blocked off by an impressive external wall, while various patios and covered courtyards offer a cosy refuge from the exterior. 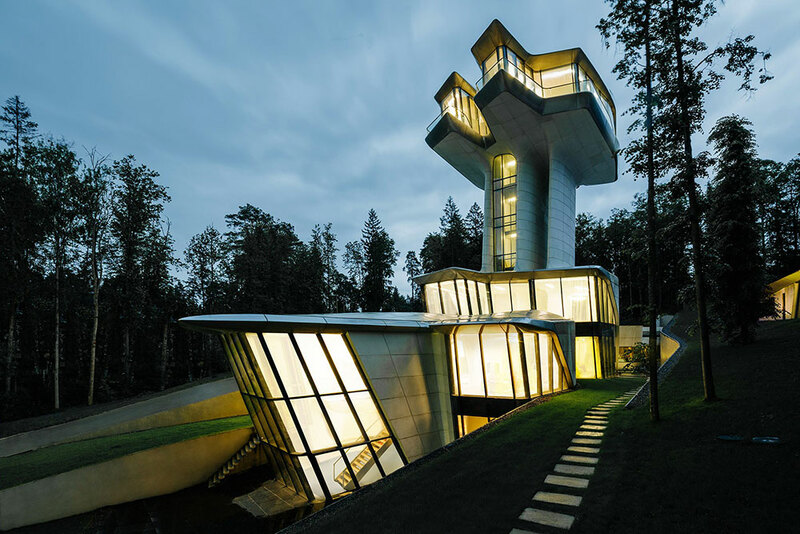 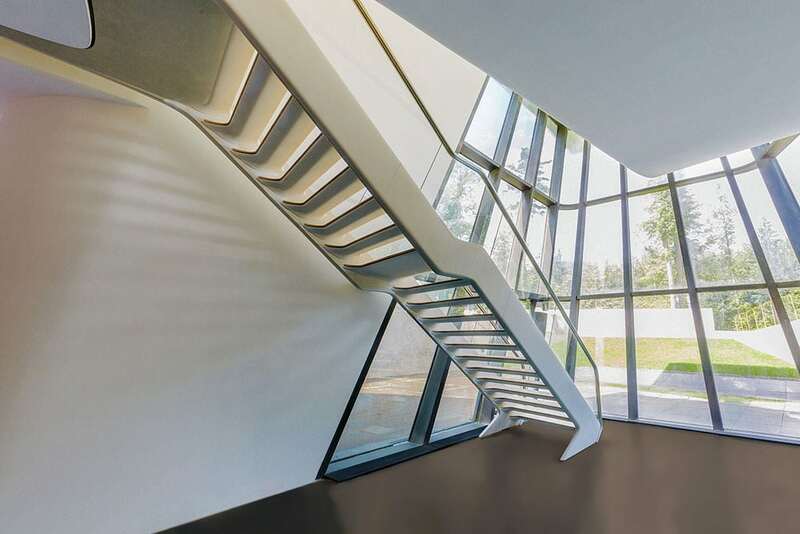 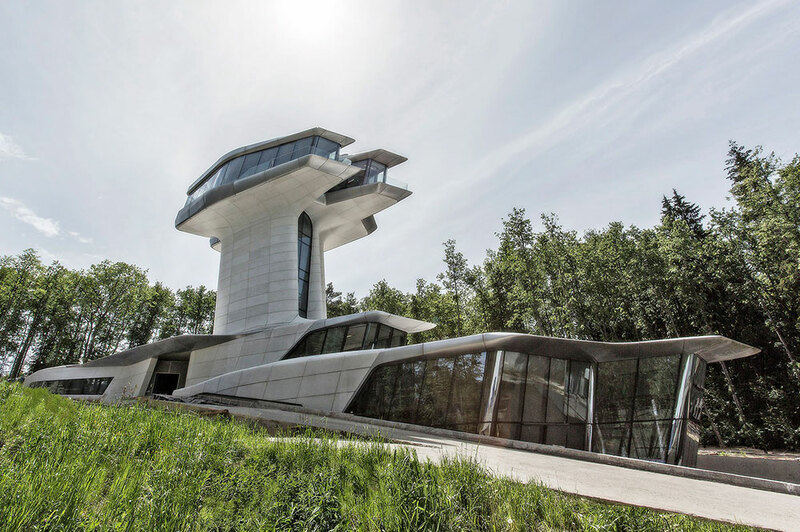 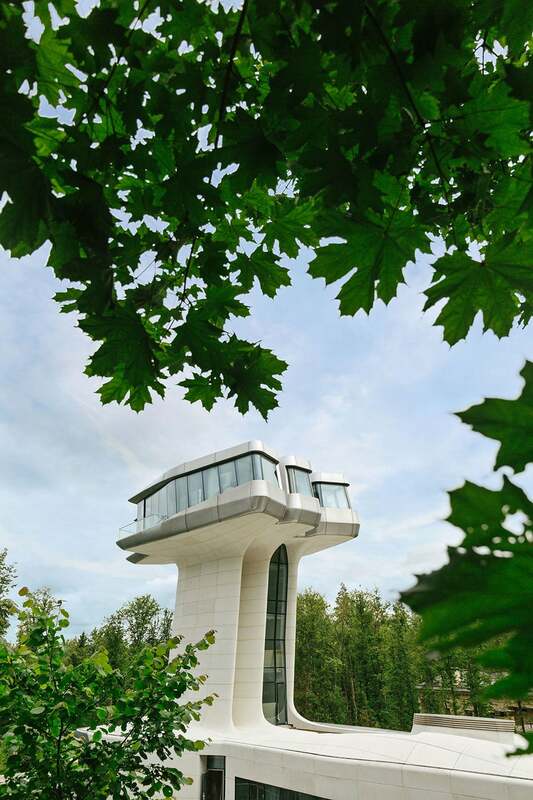 Set in the woods of a prestigious suburb near Moscow, this ultra-contemporary luxury Capital Hill Villa by Zaha Hadid is made from steel, concrete and glass. 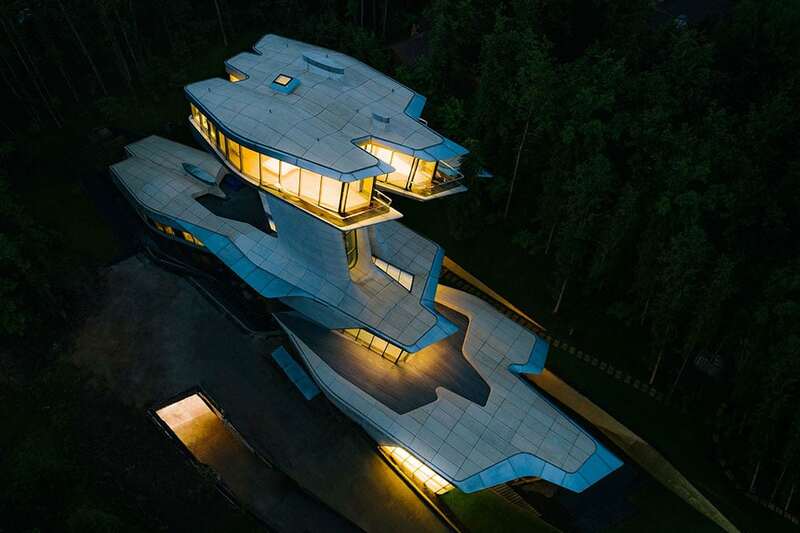 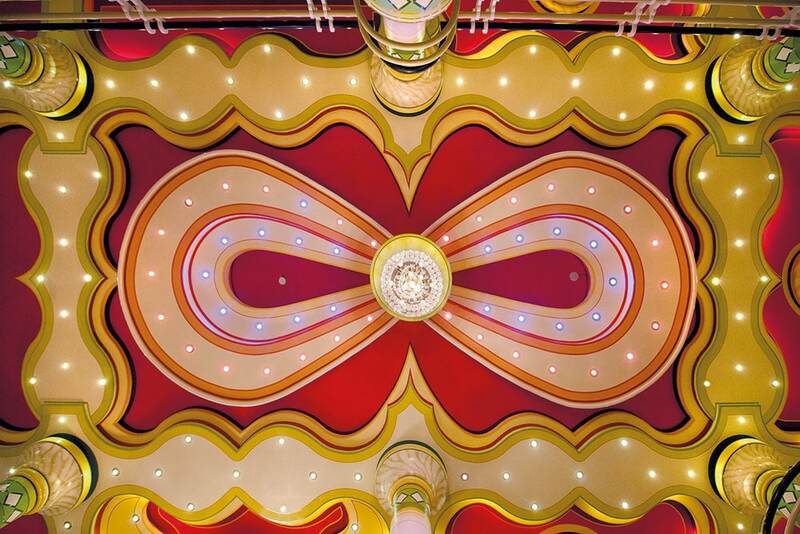 One look at it will remind you of a spaceship. 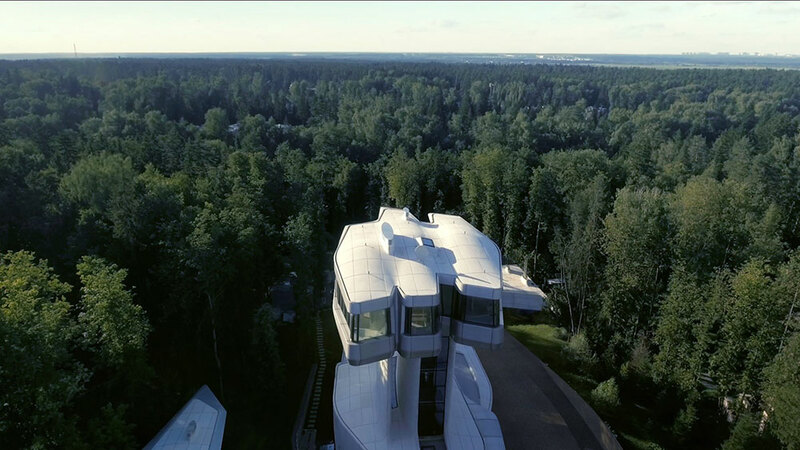 Born from a close dialogue between the villa’s owner, Vladislav Doronin, and Zaha, the project is supposed to give its inhabitants a feeling of total freedom and wilderness, with nothing but the sky above, which is why the whole structure is set above the trees. 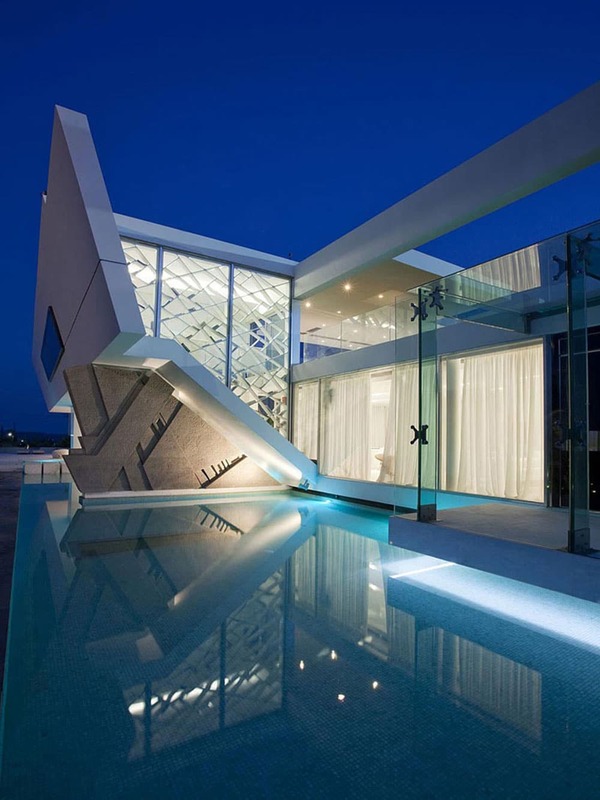 The design of this magnificent house was inspired by the owners love of yachts. 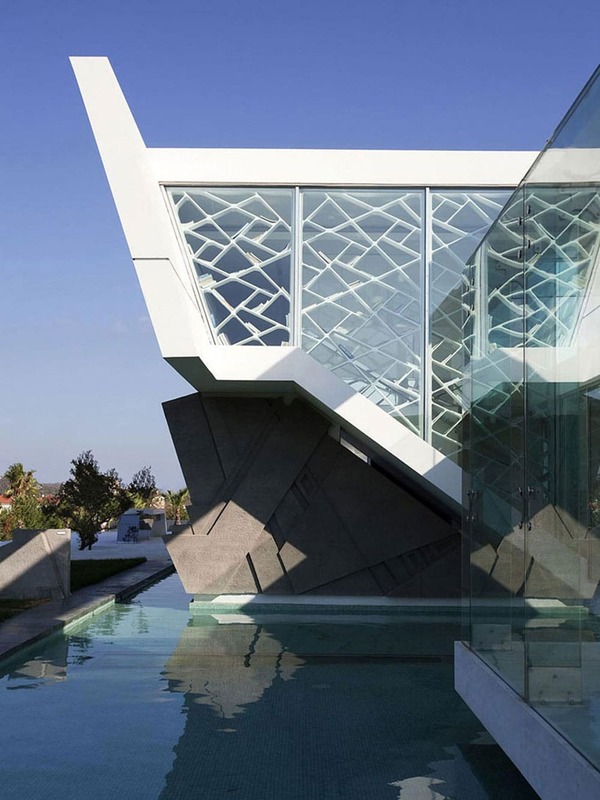 The design gives a sense of hovering over the water and sailing. 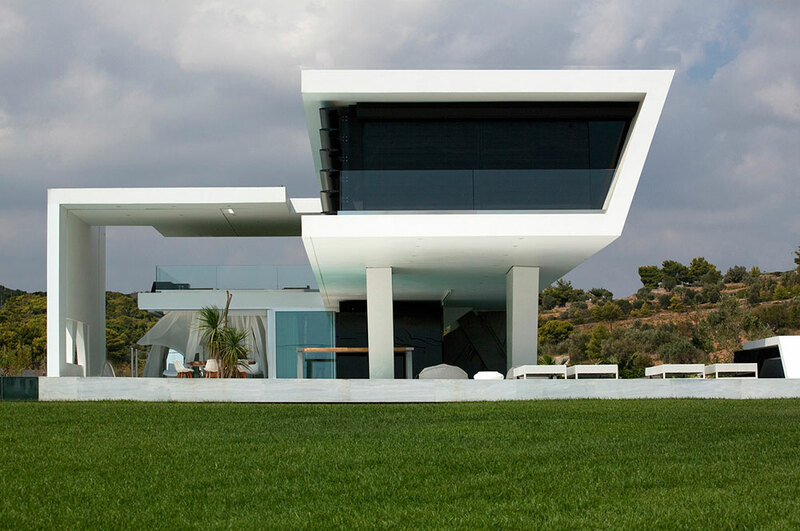 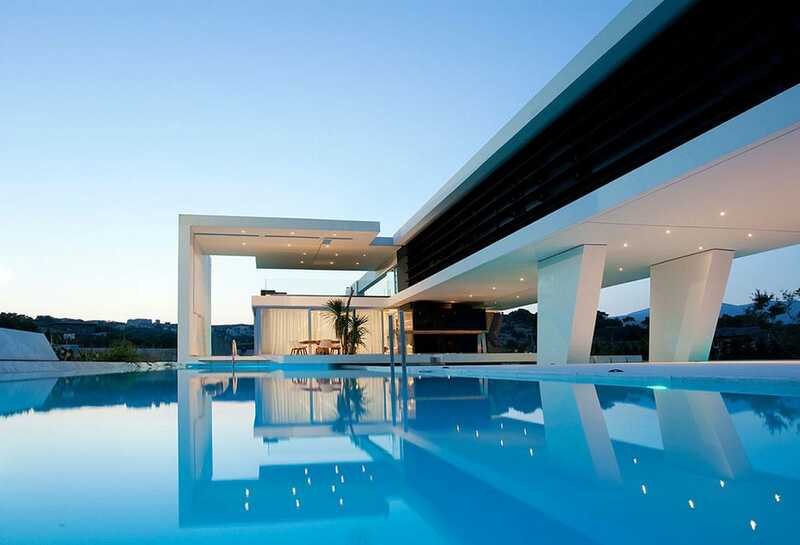 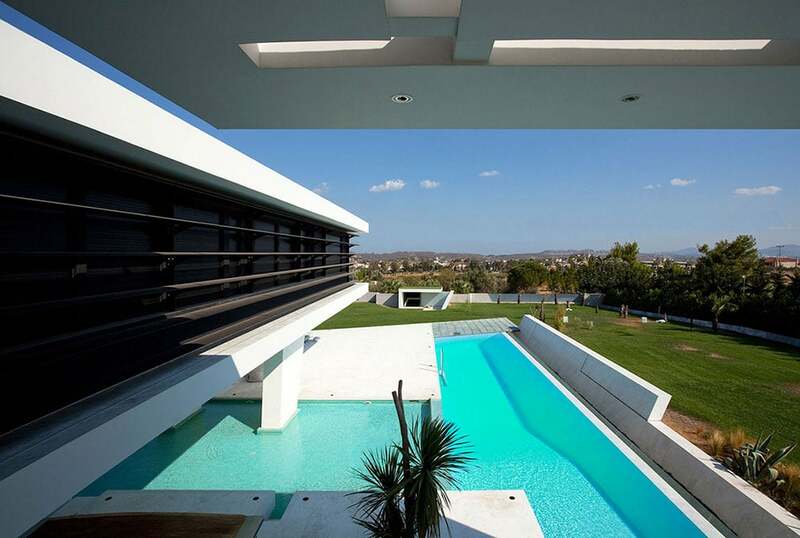 The house is located in Athens, Greece and sits on a 7.000 m2 plot with 1000 m2 of built area. 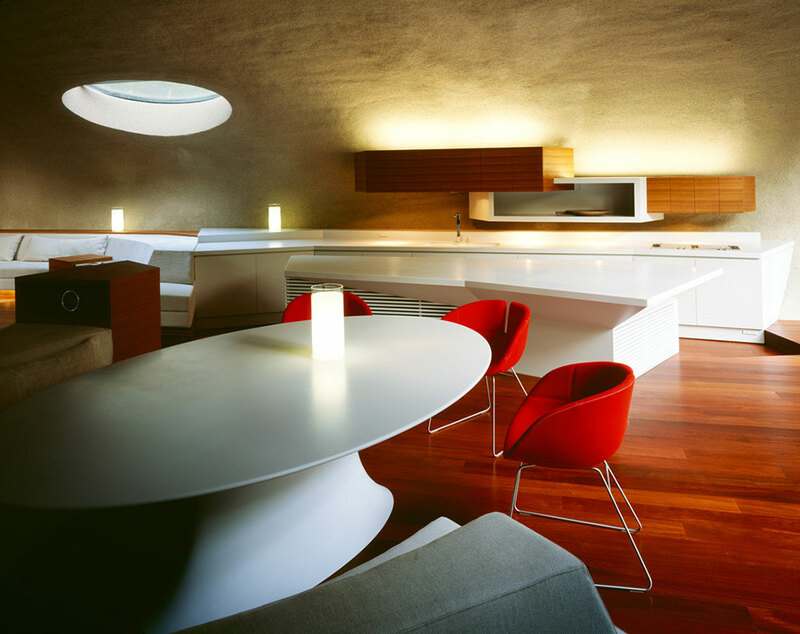 Designed by 314 Architecture Studio and completed in 2012, the house is completely eco-friendly uses geothermal energy to power itself. 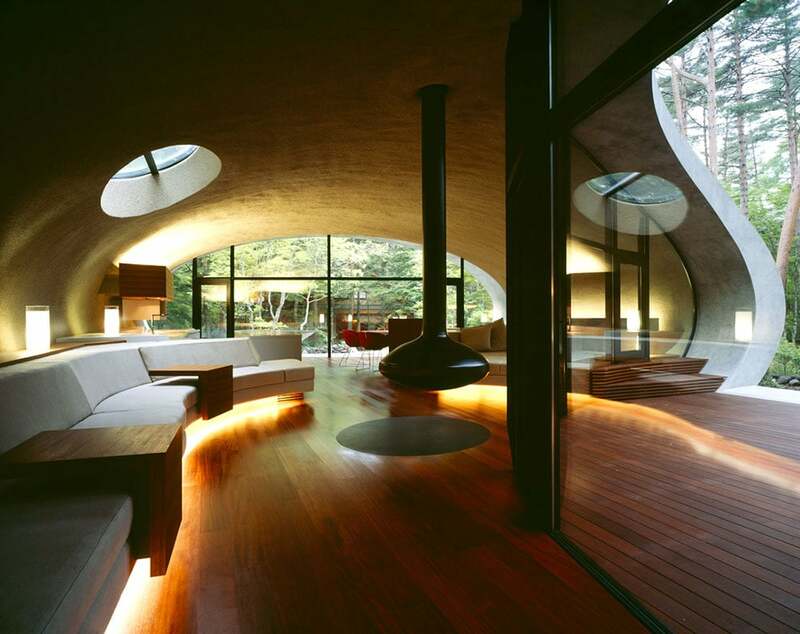 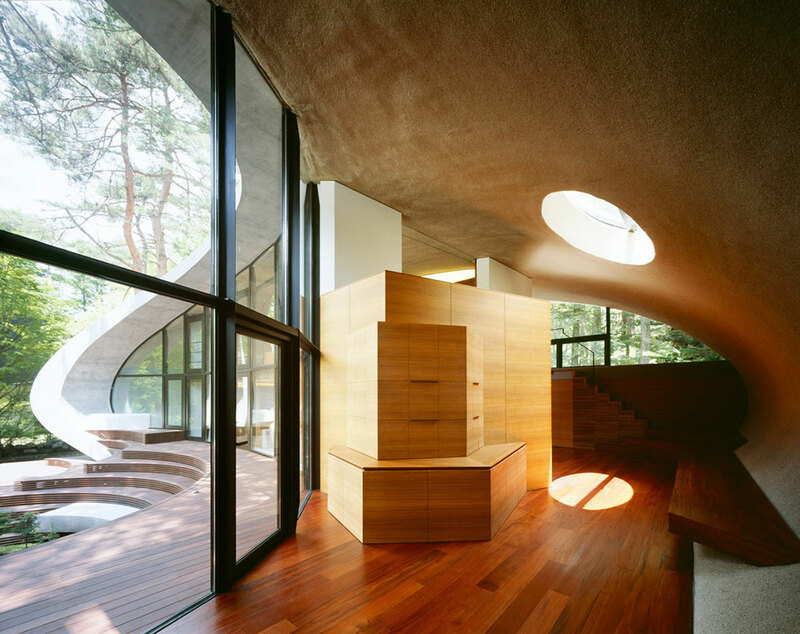 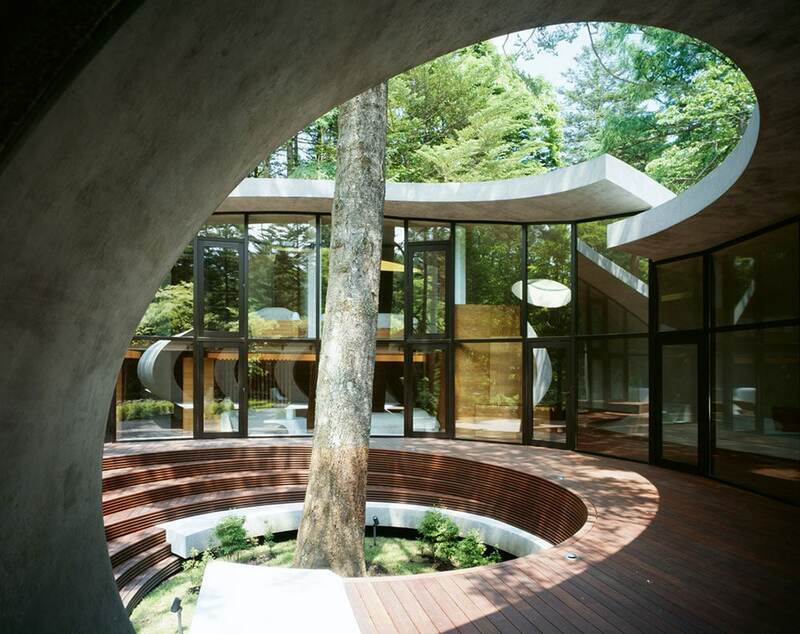 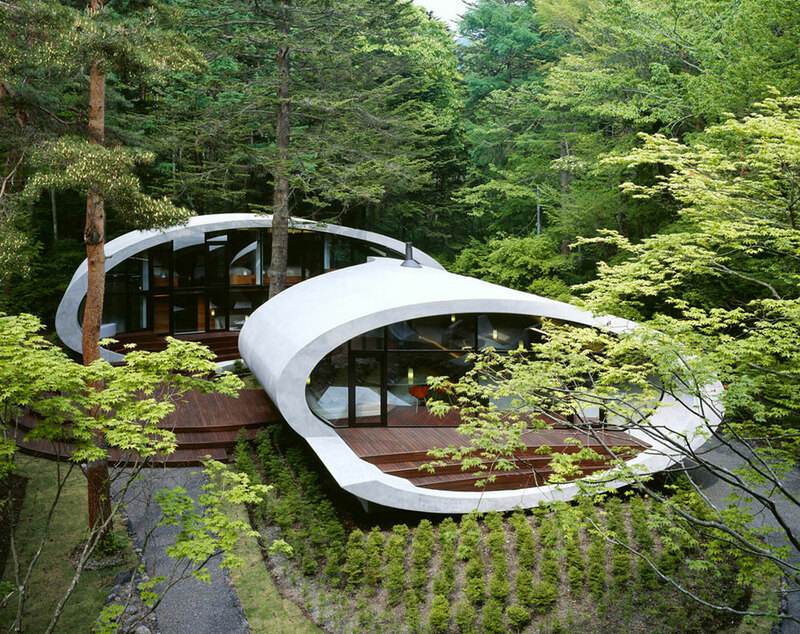 This absolutely futuristic Shell House, completed in 2008 by Kotaro Ide, strongly resembles a spacecraft and is located in the middle of the woods in Karuizawa, Japan. 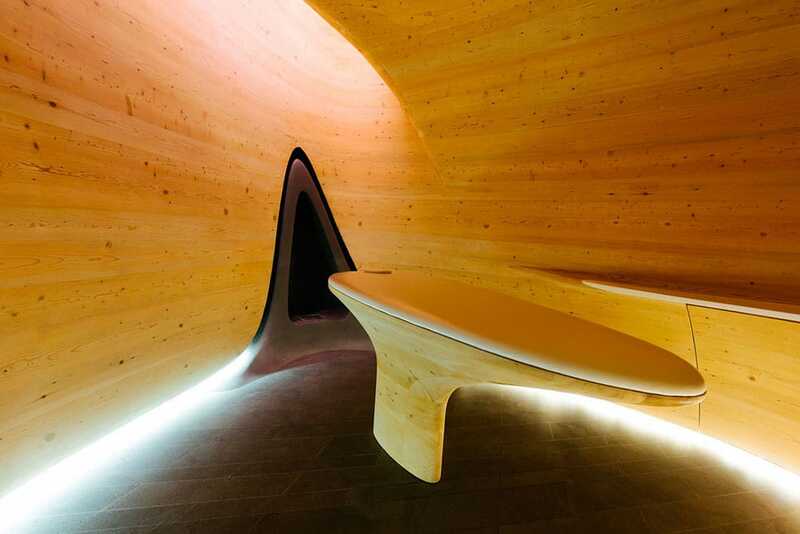 White double-elliptical shapes are used in contrast to the concrete and warm wood, creating an impression of something that exists in harmony with the nature, and yet is different from it. 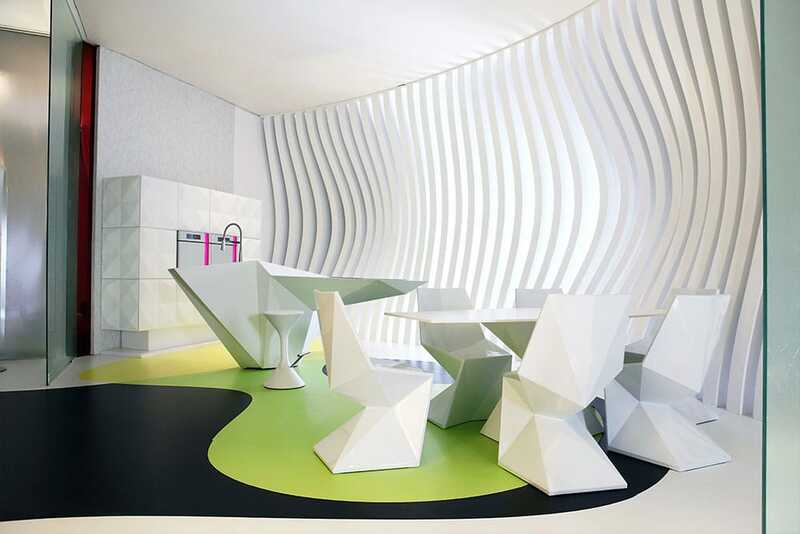 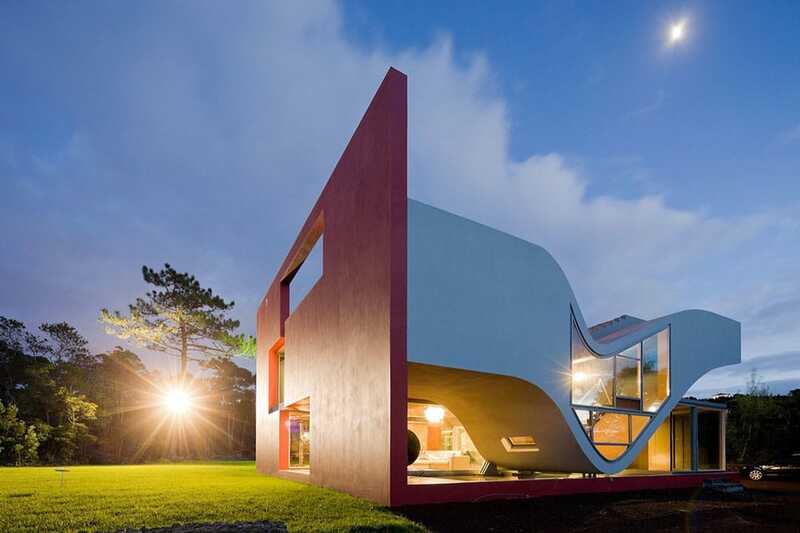 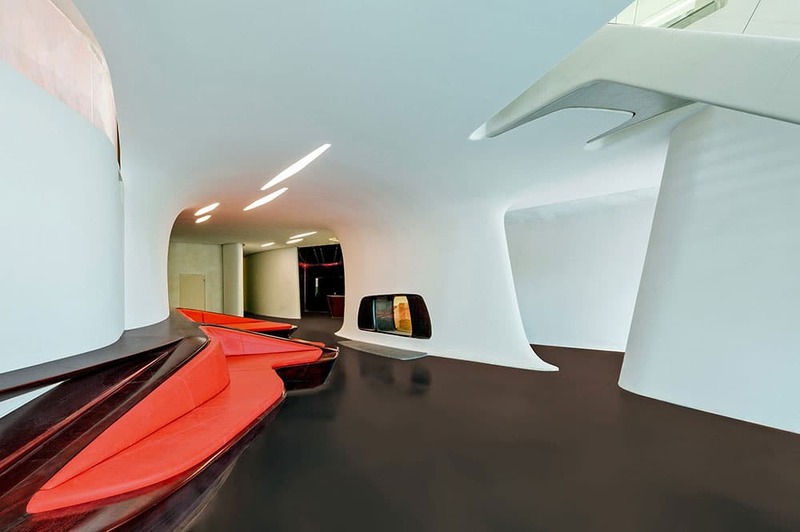 Karim Rashid’s cool, futuristic Komb House derives its name from the “combs”, the reclaimed wooden fins that give the structure its one-of-a-kind character. 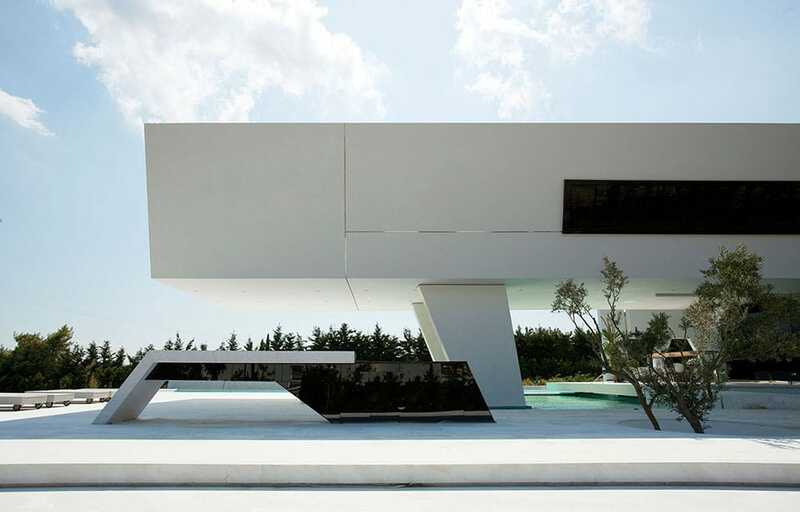 It was the architect’s concept house at Le Marche exhibition, which took place in Cairo, Egypt, in December 2010. 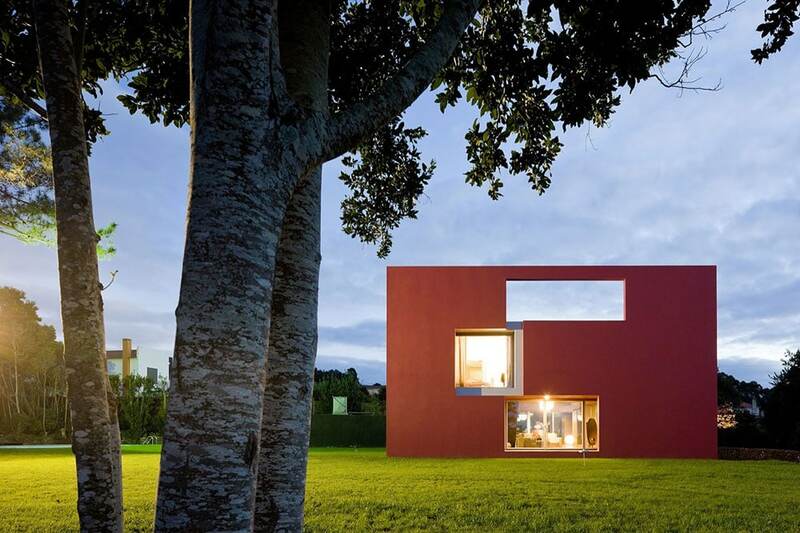 Designed to have a minimum impact on the environment, it includes solar heated water, energy-efficient appliances, reuse of pluvial and grey water, low energy LED lighting and raised radiant flooring. 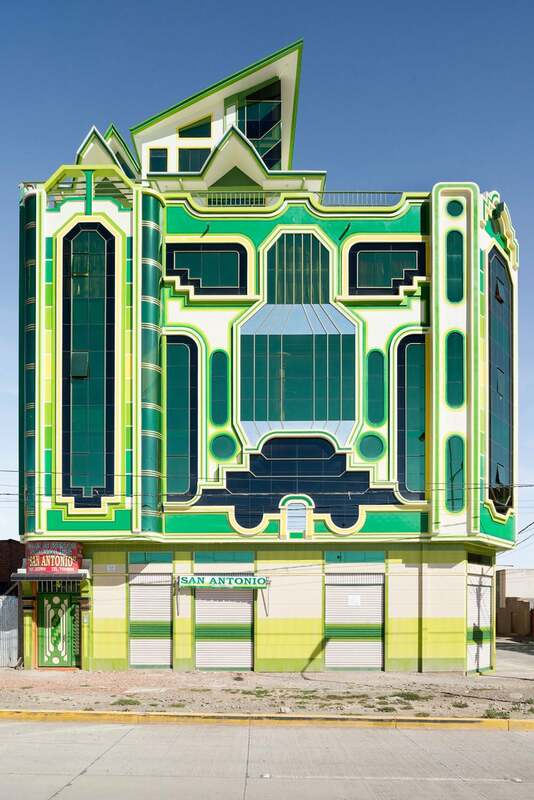 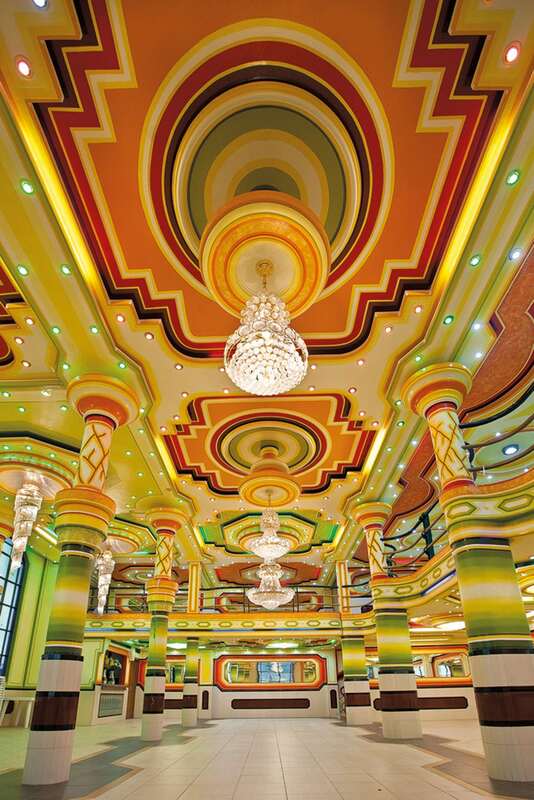 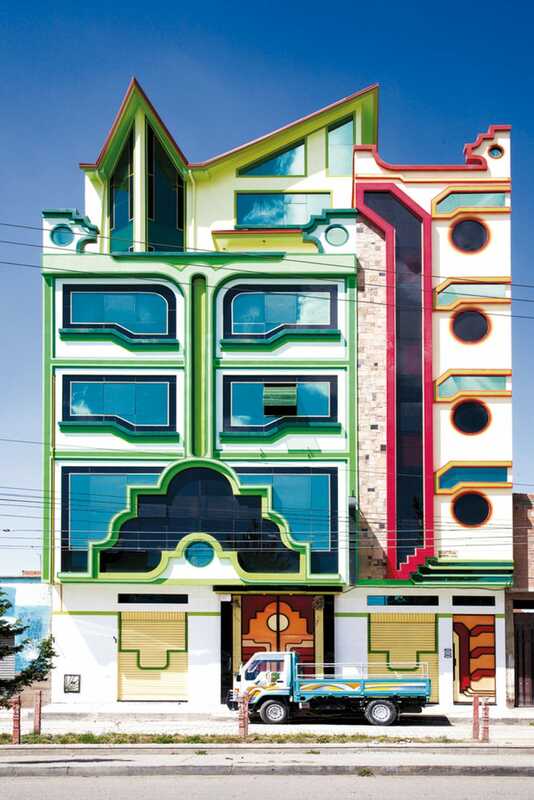 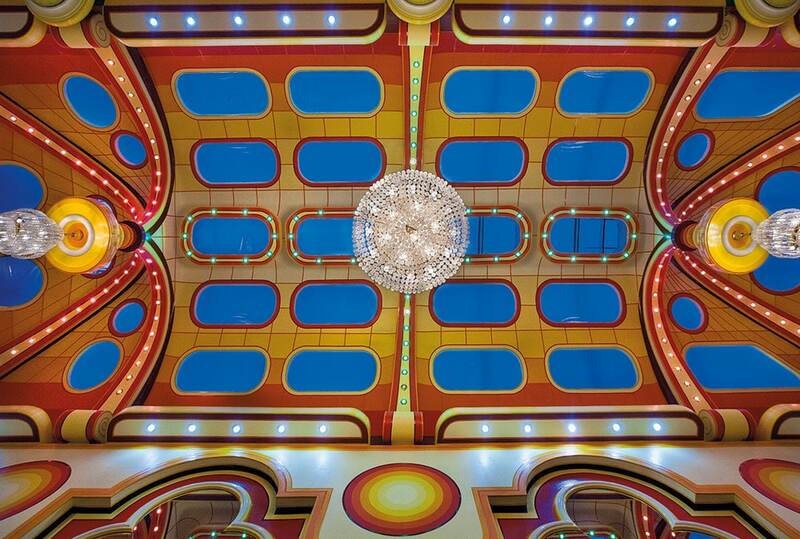 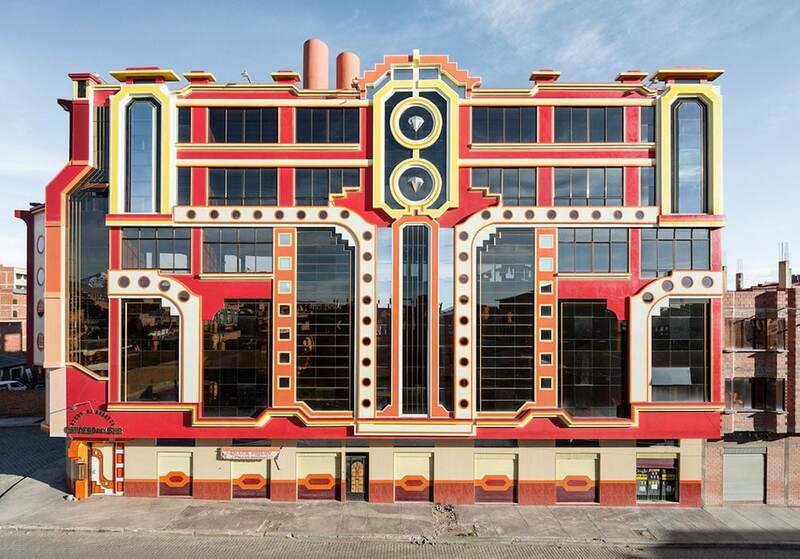 Freddy Mamani Silvestre’s houses are not strictly futuristic, but definitely off the wall enough and exuberant to be included in this list. 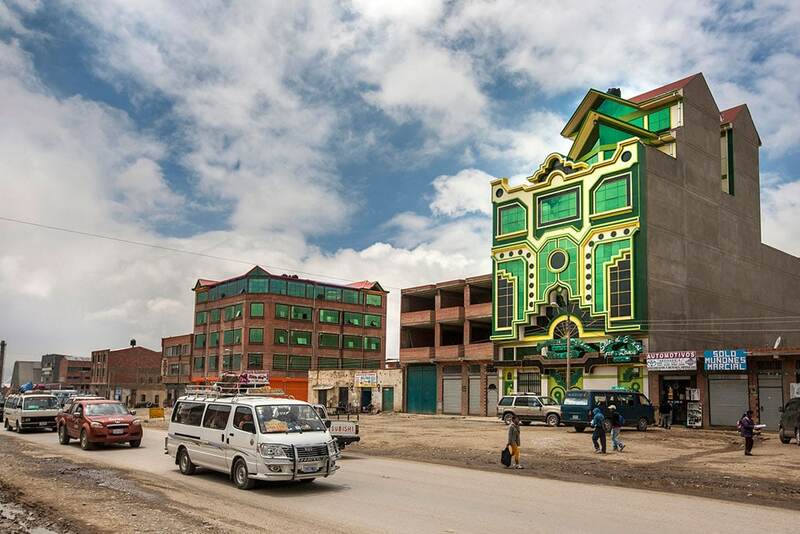 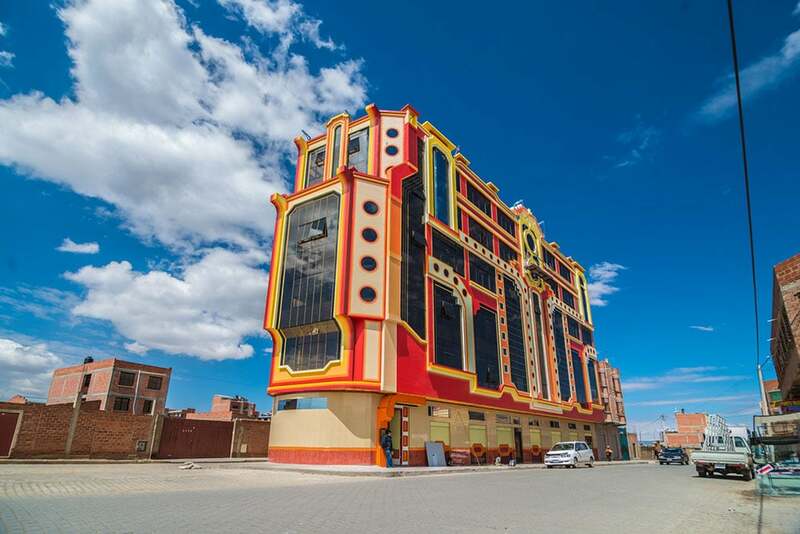 Former bricklayer turned star architect, over the last 15 years he has transformed an entire city of El Alto, Bolivia, taking it from a slum adjacent to the country’s wealthy capital of La Paz to a thriving city of about 1 million. 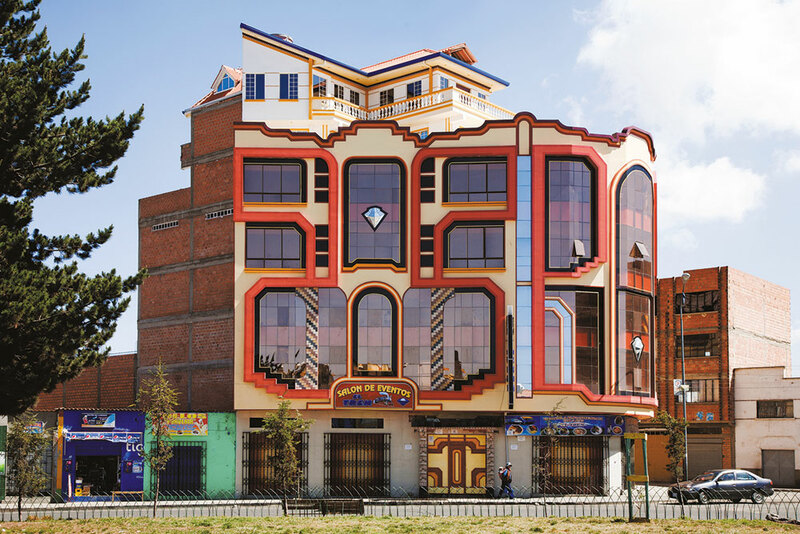 In the process he created a whole trend, which is now called New Andean Architecture. 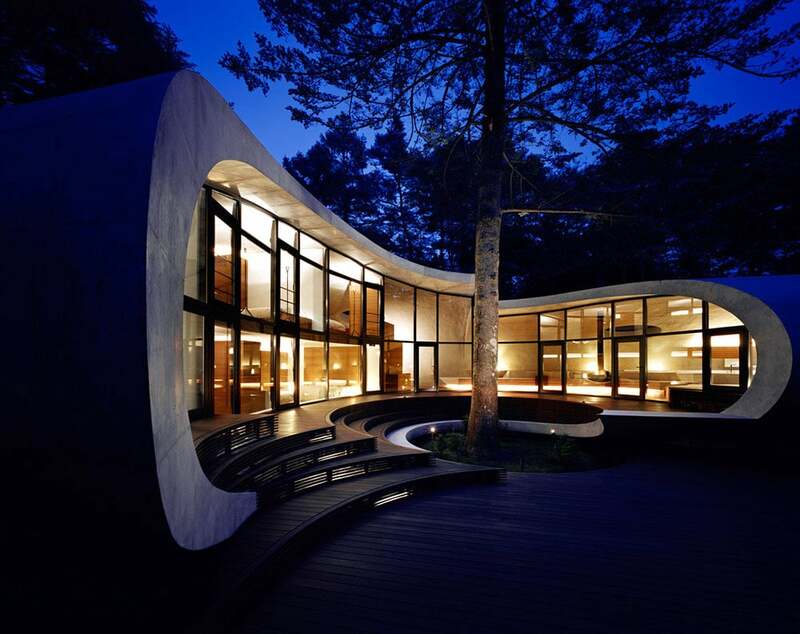 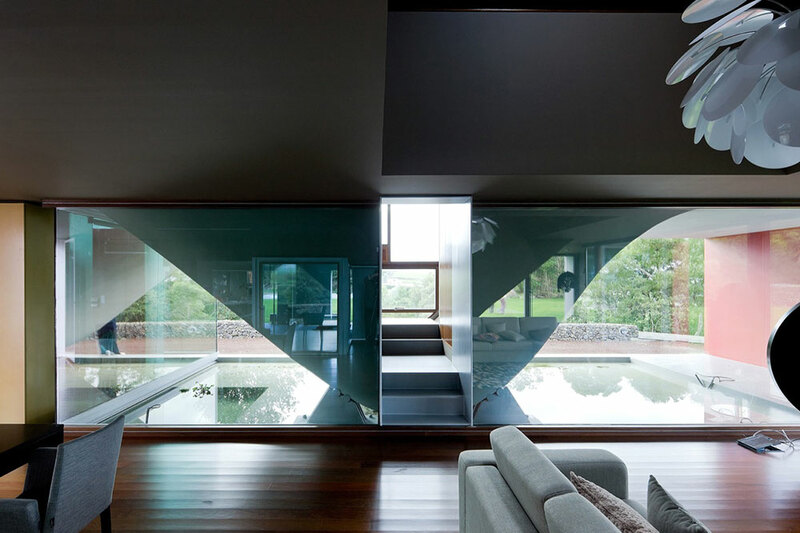 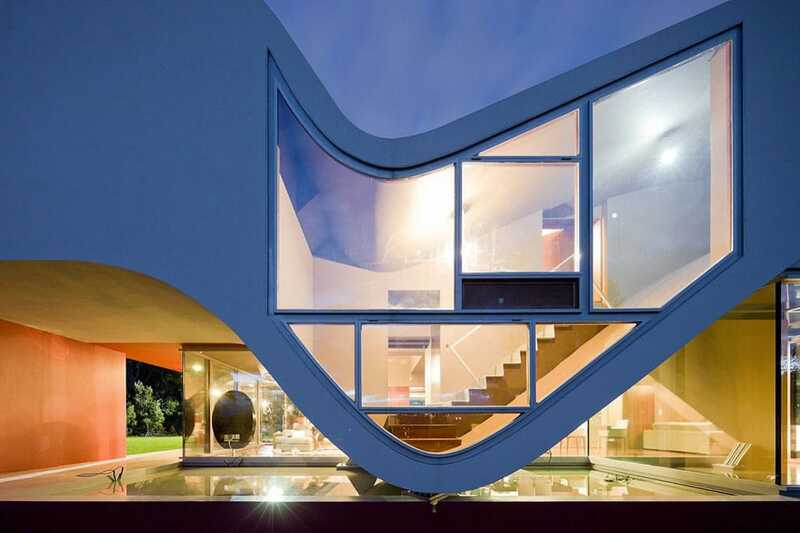 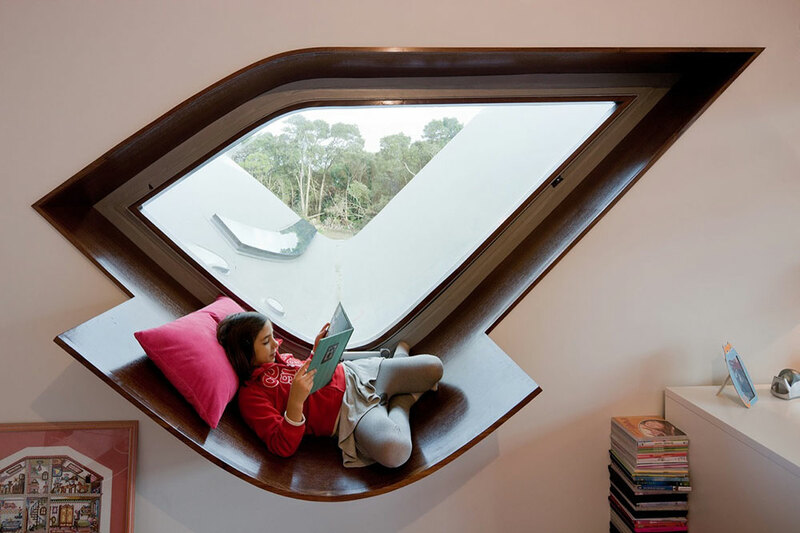 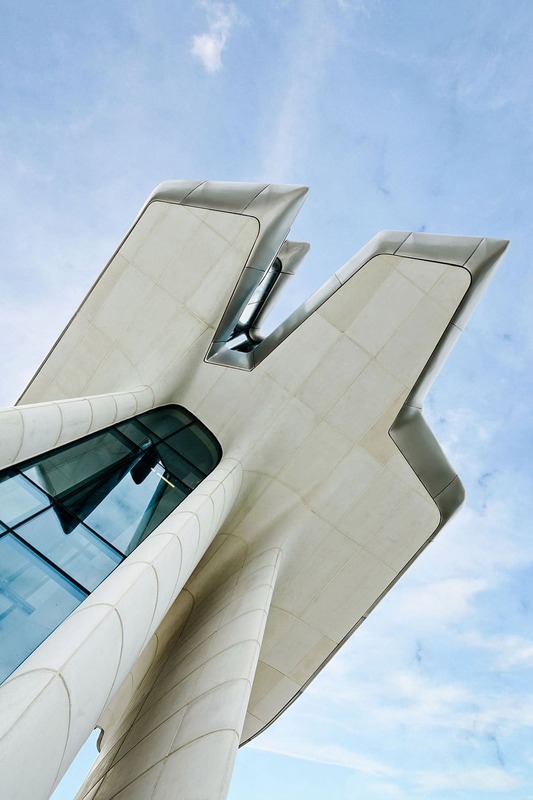 For more architectural inspiration, admittedly not as crazy :), visit our Architecture Gallery.